DO YOU WANT TO TELL YOUR STORIES? 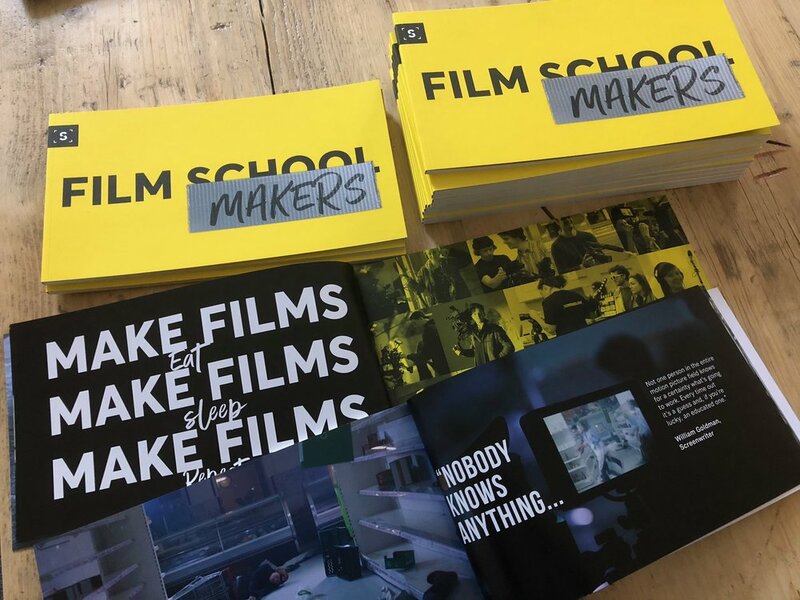 Why Screenology is the UK's most exciting filmmaking degree programme. 1. You make, make, make. Students have to make lots of films, as we believe (along with most people in the industry) that practice is THE BEST way to get better. Some of our students have been involved in over 50 films in their first year. 2. We only do filmmaking. Screenology is entirely focused on filmmaking. You are surrounded by like-minded filmmakers, both students and on the staff team. We all share one passion. 3. You'll work on real projects. 4. You get access to tons of gear. We have a huge amount of gear and it is yours for any project. Whether it’s part of your degree, a personal project or client work, you are able to use it. 5. We follow your interests. Whatever your interests in filmmaking, Screenology allows you to follow your heart. Whilst you are encouraged to try out everything, you can soon focus on your areas of interest from cinematography to producing, via drone piloting or sound recording. Literally whatever takes your interest we'll find ways to support your learning. 6. It's a friendly/supportive environment. Screenology has a remarkably relaxed, yet focussed, environment. Our staff are professional but always approachable. They will work alongside you in the production office (not hiding away, avoiding students in a staff room). 7. We have a massive community. Along with a large community of student and staff filmmakers Screenology also has a working relationship with over 300 actors, numerous industry associates, venue owners and others involved in the filmmaking process. We are constantly building this community so that, together, we can create outstanding films. 8. The pace is fast and exciting. There is never a dull moment at Screenology. Expect constant improvement and change. What's exciting is you get to choose how we grow. WANT TO JOIN US IN SEPTEMBER 2019? APPLY NOW! Screenology has spaces remaining on our BA Film degree starting this September so if you want to join us, apply today. Once our academic team has reviewed your application, you will be invited for a visit day at our central Bristol facilities. You will meet staff and students, look around the building and have a casual chat about your fit within Screenology. If all goes well you'll be given an offer shortly after the visit and if you're happy to accept our offer all you need to do is firm your place with us.